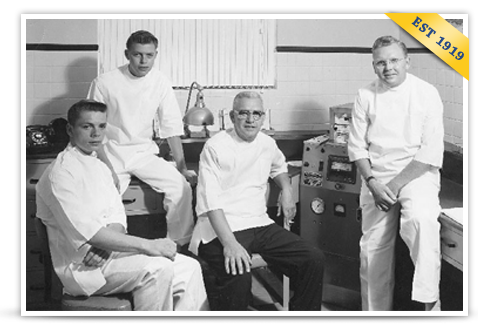 Schroeder Dental Lab - 100 Years in Business! We are dedicated to delivering the latest materials and technology to our clients in order to provide them with a competitive advantage. With all of today’s advances in dentistry, now more that ever, dentists rely on their laboratory to help them navigate through all the new technology that is “today’s dentistry”. As cosmetic dentistry moves forward, we are dedicated to delivering the latest materials and technology to our clients in order to provide them with a competitive edge. At Schroeder Dental Laboratory, we are continually evaluating new products and technologies that will benefit our clients. For a period of three full years, Schroeder Dental Laboratory, Inc., guarantees the workmanship of new fixed restorations and provides that all new fixed restorations will fit the master die or master model if adequate reduction of the prepared tooth was completed according to the manufacturer's recommendations.